If you're a movie buff, this should be an easy one. What's the significance of these steps, and where are they located? 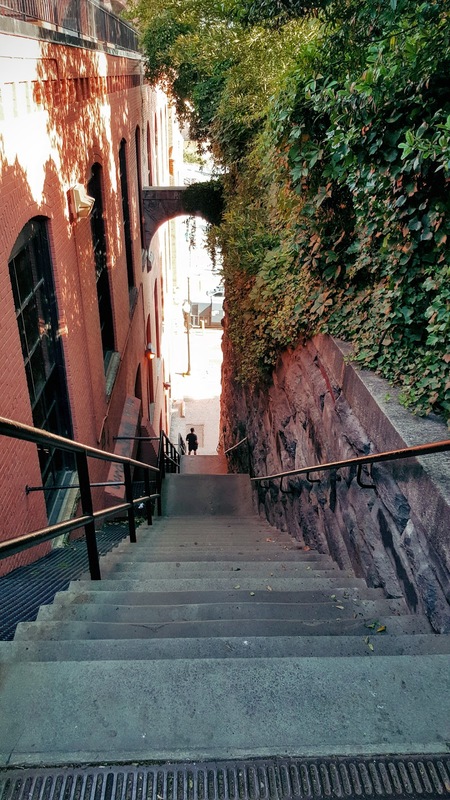 Those are the world famous Exorcist steps featured in the movie, the The Exorcist. I've never seen the movie, so I don't have much to say about that. But I've now run up the steps a few times, and I can promise you this: a visit won't disappoint! Find them here. For the record, they're located a block away from one of my standard routes, yet went completely undetected for years. DC never ceases to amazing me with little discoveries.